Avoid waiting until the last minute to plan what dishes you will serve at your gathering. Grocery stores typically sell out of important traditional holiday food items quickly the closer the holiday gets. Decide what you are going to make a few weeks ahead of time and remember to ask your guests if they have any dietary restrictions. Do not be afraid to ask guests to bring items like appetizers, sides or desserts! Provide snack-type foods for your guests in between meals and invite everyone to help themselves. Offer a variety of goodies such as, cheese and crackers, dips, fresh fruit and mixed nuts. Now that you have your menu, it is time to prepare a list for all of the supplies needed for your big dinner. In addition to food items, make sure to include cleaning supplies such as, hand soap, trash bags, paper towels and dish soap. Keep in mind you will want to have plenty of storage for leftovers and should also include freezer gallon bags, plastic wrap, tin foil, to-go containers and plastic containers for the refrigerator. 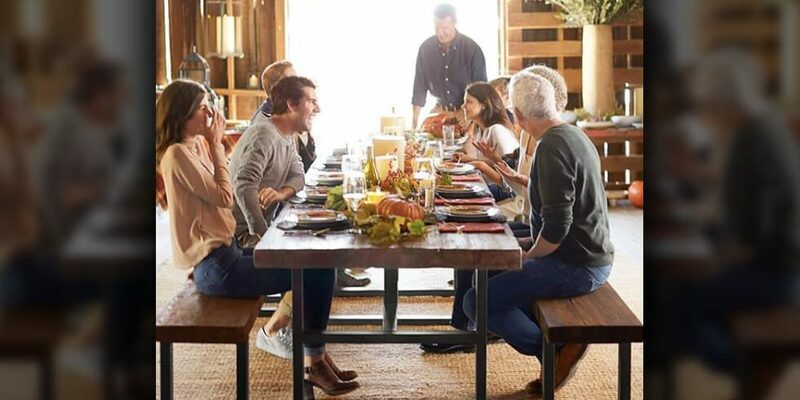 Hosting a large gathering like Thanksgiving Dinner, often means you will most likely be using appliances and tools you do not normally use on a daily basis. A week prior to Thanksgiving Day, inspect all of your appliances for any issues and/or needed replacements. Your microwave, oven, stove, grill, mixers, dishwashers, garbage disposals and space heaters are common appliances you will want to do a check up on. Although a clean home can hold different meaning from host to host, there are some basics to ensure your guests feel welcomed. Fall cleaning involves many of the same tasks as spring cleaning, but this is also the time to add in some seasonal tasks. Give your house and appliances an all-over cleaning. Focus on the entryway, bathrooms, dining room, living room and of course, your kitchen! Just so you can spend the day getting it dirty again! Remember all the leftovers from last year? Be sure and clean out your fridge and freezer by giving them a good wipe down! To save time on Thanksgiving, set the table the night before. Decide if you are going to serve family style or if you are going to set up a buffet. If you are setting up a buffet, be sure to quickly label serving dishes so when the food is ready to go out, it already has a place. Having a flower arrangement is a very simple way to add a nice touch. Keep in mind placemats will add to your decor as well as help prevent messes and tedious clean ups later on. With so many details to coordinate, guests to host and dishes to cook, it can be easy to lose sight of the real meaning of Thanksgiving! Give thanks to your family and friends and remember how lucky you are to be having a group of loved ones join you in your home on this special day!